The Diary of a Nouveau Soccer Mom: TWIN Camp, Part 2 - the Cars! TWIN Camp, Part 2 - the Cars! After learning a lot about Toyota in the morning, TWIN Camp took another fun turn with a chance to drive some of Toyota's cars, without any of the typical dealership pressures. Just get in, drive & enjoy! We had enough time to drive about 3 cars each, and knowing that this was coming, I made a list with the husband of the cars I wanted to try. The main criteria was cars we would likely consider buying for one of us. The Rav4 was at the top of the list (it already is a serious contender for my next car) as well as the various Prius models. Now for our own personal car shopping, we want a car that works well for a family of four. We need room for things like luggage or skis, reliability, good gas mileage, and room for the dog. We don't want an excessively large car either and I'm not a huge fan of third row vehicles. We have one relatively newer car (mine) and one basic reliable older one that the husband uses to commute to and from work. In the end, I tried out the Prius C, the 3rd Generation Prius and the Rav4. I love the Prius models. In the long run, the C is probably a bit small for what we need, although it would make an awesome commuter car for the husband. I could have seen me driving it when we first got married and I commuted to downtown Dallas from the suburbs every day. With two kids and the space needs for travel, I think it would be a bit tight as a primary car for me, if there wasn't a larger vehicle as the second car. 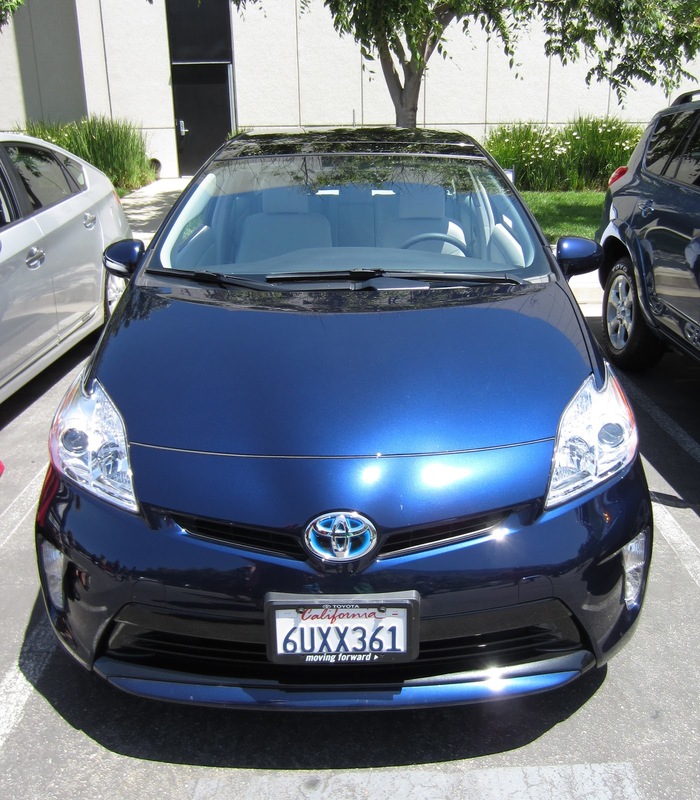 The 3rd Gen Prius is much closer to the size I'd want and, from the glances I took at the Prius V, that one is even closer to the size I want, with much more cargo room. The C and 3rd Gen were fun to drive and I love the displays to see how economical you are driving. It almost a game really, how much more fuel efficient can you drive than what's on the display. The Rav4, however, is everything I want in a car. I love the smaller SUVs to begin with and it has a good amount of cargo space. I was mentally stacking skis and poles in the back. It handles well, and it's really cute. Cute is also a high priority factor in car shopping. Of course, for now, I have to pretend. I'm at least a year and a half out from buying a new car, but at least I know what I want to look at when the time comes!